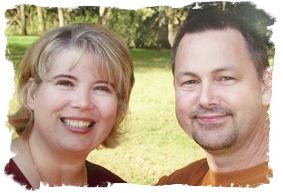 Hello from David & Sheri Burns at Long Lane Honey Bee Farms. We want to say a big hellow to all our fellow beekeepers and beekeepers soon-to-be! Here at Long Lane Honey Bee Farms, we've been busy keeping up with rearing queens, building hives, processing honey and putting the final touches on our new store/learning center/bee-lab. We've made great strides on our Illinois Queen Project. We produced so many great queens this year and sold many queens too. And by the way, now is a good time to requeen your hives. It is a little harder to have new queens accepted late in the year, but August and September queens will produce better brood going into winter, and will certainly help the hive to over winter. Do consider it! It is very important to requeen your hive once a year. It has been a very productive summer for the bees. And our bees are still acting like it is July 11th instead of August 11th. We are hopeful this is the case and that the bees will provide us with one more month of good, strong foraging here in Illinois. I've had beekeepers call in and say something close to this: "I've got two hives and while one is doing great, the other one hasn't pulled out all the frames in their top deep yet. They just don't seem to be moving up at all. What's wrong and what should I do." This is why I always encourage new beekeepers to start with 2 hives instead of one. Because if you start with just one, and it gets off to a slow start, then you have nothing to compare it to and nothing available to help it with. During heavy nectar flows, your hive should look like this one in the video below. This is one of our hives working aster and other late summer flowers. This queen has done a great job at raising a huge amount of brood and that's why there are so many foragers now! A poor queen will have the entire hive down in number, which means less comb building, less bees, less nectar gather etc. First, it is hard to say why one hive doesn't do as well as others. There could be many reasons. Generally, I point the finger at the colony's failure to maintain a strong queen. What I mean by that is that the hive may have supeceeded their queen or tried to swarm and made swarm cells and in the process the colony may have actually become queenless for a good part of the season. This does happen. In fact, in my opinion, queenlessness is actually a worse problem than mites! Maintaining a close eye on your queen and/or any queen cells is vitally important. Between the months of April and June, you must inspect your hive every 14 days, making sure your queen is laying good and that there are no swarm or supercedure queen cells. During these critical build up months, you must maintain a good laying queen. Once I get into July and my nectar flow is at its peak, I seldom go back into the hive except to remove honey supers because I do not want to disturb the hive's passion to gather nectar for me. I stay out of my hive until the 2nd week in August and then I begin to prepare my hives for winter. August and especially September determines how well your bees will do in the spring of the next bee season. So what is typical is that a hive will lose its queen, try to replace her, fail, try to replace her and fail again, and finally get the job done but considerable time has been wasted in the effort and after she starts laying, maybe they are not pleased with her performance and they replace her again. This can go on all summer. 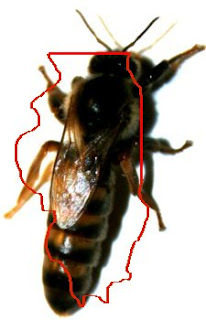 Other causes for slow build up might be that the queen was not mated well and is only able to lay an unacceptable brood pattern resulting in low bee population. Beekeepers who choose not to monitor the queen and the brood pattern are taking a gamble and may find out much too late that the hive is not progressing well. When this happens, the first thing to do is to assess the queen and the amount of eggs and capped brood. Nearly solid sealed brood is what you want to see. Spotty brood means the queen needs replaced. Okay, let's say that you need to get two deep brood boxes drawn and full before winter, and here it is in August and it doesn't look possible. What do you do? First, since this hive is weak, and you have another hive that is strong, swap locations during the middle of the day on a nice sunny day. By swapping the two hives, you actually are transferring the foraging bees from the strong hive into the weak hive because as they return to their home, it is actually now the hive of the weaker colony. Incoming nectar from a larger foraging team means more drawn comb too. Rember, it takes nectar to produce wax which is used to build comb. Secondly, feed! Place an entrance feeder in the hive and feed 2:1 sugar water. If robbing is a problem, use a top feeder. We sell both top feeders and entrance feeders. Also, take two or three drawn frames with bees and move them up into the top deep and take the undrawn comb from the top deep down into the bottom deep. This will spark the bees to move up because some other bees are already up there. If the weaker hive still does not seem to build up within the next month, say by the middle of September you should consider combining it with another hive. It is always better to go into winter with one strong hive rather than two weak hives. If your plastic foundation is not drawn out yet, you might spray it with sugar water or you might need to melt some beeswax and recoat the plastic. Now, you've got to get rid of your mites!! This is the time of year that mites can be bad and spread viruses throughout your hive. A hive that enters winter with a mite infestation is likely to be doomed. So, our next lesson will give you some non-medicated ways to reduce your mite count greatly! Stay tuned. Thanks for allowing us to share with you today, and please share these lessons with others. We are a family business, simple folks working hard to make a living. We're honest and sincere in helping you enjoy being a beekeeper. Help us out when you can and we will certainly appreciate it! !